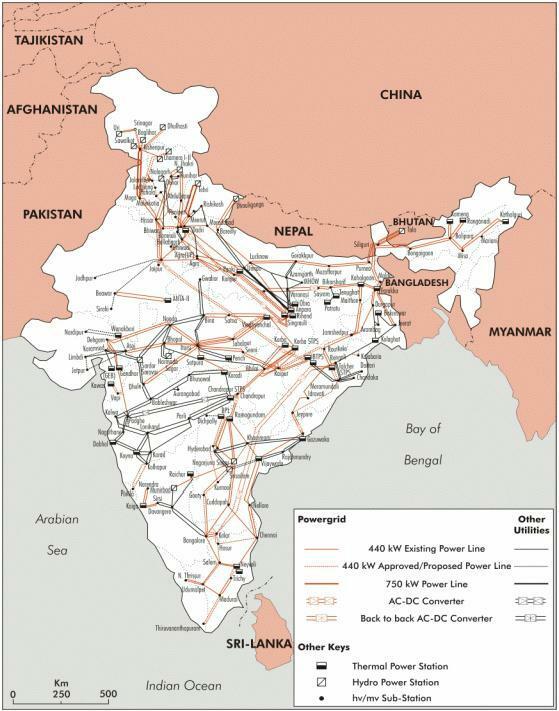 The nationwide Grid Failure in July 2012 https://knowpowernews.wordpress.com/2012/08/04/dark-times-in-India-northern-grid-failure/ ,has prompted CERC to take several measures in order to stabilise the system and thereby ensuring Grid Discipline.In its report on Grid Disturbance in August 2012 (http://www.cercind.gov.in/2012/orders/Final_Report_Grid_Disturbance), the enquiry committee has concluded that it has occurred due to series of events like multiple outages,transmission line overloading, inactive response from RLDC,SLDC’s,loss of 400 KV Bina -Gwalior link.Some of the prominent steps proposed are: third party protection audits,formulation of islanding schemes in different states,review of unscheduled interchange(UI) mechanism,further tightening of frequency band (http://articles.timesofindia.indiatimes.com/2012-04-03/delhi/31280863_1_power-demand-discoms-bses-rajdhani-power-supply) etc. After NLDC’s petition (http://www.cercind.gov.in/2012/orders/Order%20in%20Petition%20%20No.190-MP-2012.pdf) to CERC, it has finally approved the congestion charges in April,2013 and thereby amending the congestion charge regulation 2009 (http://www.cercind.gov.in/2010/ORDER/March2010/Signed_Order_Pet_No_1-2010_Suo_Motu.pdf). Actually the changes proposed are actually in line with CEA’s planning criteria for the aforesaid issue. Key Features of new procedures for relieving congestion in real time operation. -TTC(Total Transfer Capability) is the amount of electricity that can be transferred reliably over a particular transmission system under a given set of operating conditions,considering the possibility of worst contingency.TTC is measured in MW terms and is dependent on network topology,point of injection/withdrawal of the interconnected network. -TRM(Total Reliability Margin) is the amount of margin kept while determining TTC which ensures that the network will be secure enough to operate in case of critical situation. -ATC(Available Transfer Capability) is the transfer capability of the system that is available for scgeduling transactions in a specific direction. 2.To ensure proper usage of TTC,TRM,ATC terminology, a detailed procedure has been prepared w.r.t Open Access in Inter state transmission. 3.Some of inputs that are required to design an efficient Transmission network are network topology,coal- fired thermal dispatch,gas,nuclear and hydro dispatch,MW demand and MVAR demand. 5. TRM is computed on the basis of 2 per cent of the total anticipated peak demand met in the control area and size of the largest generating unit in the control area. The above mentioned figures may be revised as and when system conditions change. -The figures need to be dosplayed on the websites of RLDC’s based on the inputs provided by the respective SLDC’s. -RLDC an NLDC can issue a congestion notice to the SLDC’s and the same need to be forwarded to all the concerned entities through ususl methods of communication like fax/email/postings on website. -In case of congestion caused due to forced outages of transmission after fixing the drawal schedule,Open Access transactions should be curtailed as per CERC’s OA regulations followed by revision of TTC,ATC,TRM etc. -If a violation of TTC limits persists for more than 2 time blocks (Each Time block comprise of 15 minutes) after the issuance of warning notice with no action taken by the defaulting entity,the NLDC/RLDC wil issue a notice for imposing congestion charges. The applicable congestion charges as per CERC order are Rs 5.45/unit. -Congestion charges account will be settled on a weekly basis.RLDC’s will maintain and operate the bank account quite similar to UI account Any delay in payment beyond 12 days would attract a simple interest of 0.04 %/ day. -RLDC’s should also submit a monthly statement of accounts to CERC. Given the grwoing complexity of Indian Power market, CERC need to constantly monitor the procedures and adequate steps should be taken to streamline the Indian Power Sector. Reference: CERC , Power Line Magazine, Power Sector Blogs. This entry was posted in Latest Regulations, Uncategorized.